1)very important sevas like Subratham,Thomala, Archana, Astadala padapadmaradhana, Nijapada darshanam, visesha poja tickets will be alloted in Lottery System. 3)selected list will be published in 06-02-2018 12.00 pm though sms / e mail.to the pilgrim register mobile number. 4)selected devotes shall log in and make a payments with in one week time period i.e from 06-02-2018 12.00 pm to 09-02-2018 12.00 pm. 4) next step after before form submersion page it will show instuctions& conditions after reading down one option shows continue button. 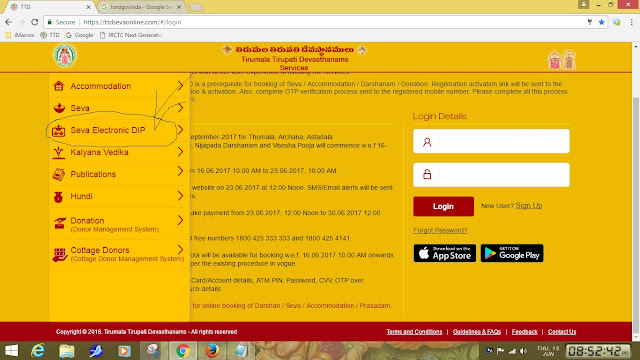 5)in this step it will verifid this e mail id/ user availed seva past 180 days after validating it will alllow fornext step pilgrim details page. 7)next pilgrims details page, in this 2 options booking for self booking for others u can chose any option next give continue button. 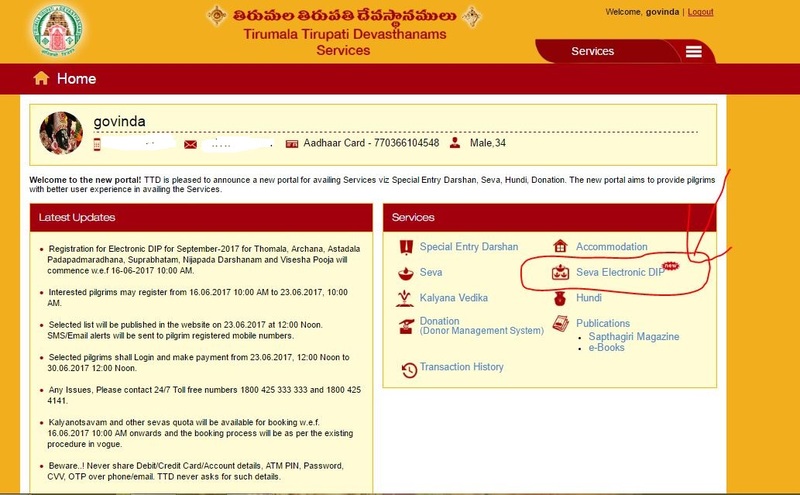 8) in that seva details page two options a) ANY SEVA ANY DATE b) select seva /date. 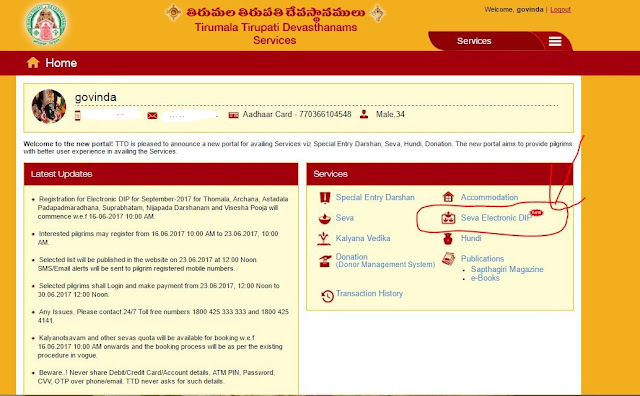 9) if you selected first option user can request all sevas for any date. 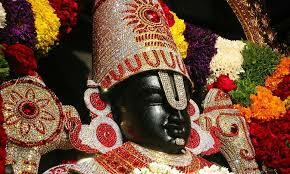 10) if you selected seva/date means in this option they canchose perticular sevas in perticular date or any date . 12)next step preview page in this any changes you can change next sumbission buttion. 13) after submission you will get a reference number .